East Texas author John L. Lansdale is hitting the bookstores a few more times this year to promote his latest releases. 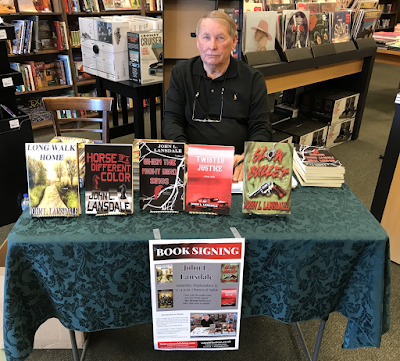 If you missed him at Barnes & Noble, you can still find him at Half Price Books in Tyler, TX signing books Saturday, Sept. 22 from 3-7pm, and at least one more TBA. And if you can't make it in person, all of John's books are available online. Visit John's Amazon Author Page for a quick glance. Just a few of the titles Lansdale is promoting include LONG WALK HOME, THE MECANA SERIES, and SLOW BULLET. Other titles will also be available for sale and you can bring your favorite copy from home to be signed, as well! Ten-year-old Trenton O’Rourke’s life was changed forever during the summer of 1944. He and his family lived on a fading farm like many others in the small town of Angel Point, Mississippi. With family members fighting in World War II overseas, and rising racial tensions back home, what was normally a routine summer turned into a nightmare of murder, loss, trying to cope with hard times to survive and surprise learning experiences of growing up. Trenton’s life would have never been what it was had it not been for a chance encounter with someone nobody expected. John L. Lansdale was born and raised in East Texas. He is married to the love of his life Mary. They have four children. He is a retired Army reserve Psychological Operations Officer and a combat veteran with numerous medals and awards. Past roles include inventor, country music songwriter and performer, and television programmer. He produced and directed the Television Special "Ladies of Country Music." He has also produced several albums in Nashville, hosted his own radio shows and won awards for producing and writing radio and television commercials. He was a writer and editor of a business newspaper. 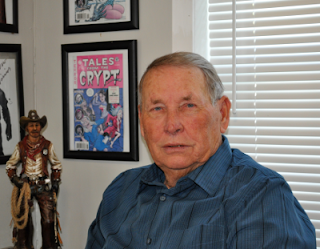 He has worked as a comic book writer for Tales from the Crypt, IDW, Grave Tales, Cemetery Dance and several more. He co-authored the Shadows West and Hell's Bounty novels with his brother Joe R. Lansdale. He is also the author of Horse of a Different Color, Slow Bullet, Zombie Gold, When the Night Bird Sings, Broken Moon, Long Walk Home, The Last Good Day and several more.